Starting from the earliest stage offers young learners their best chance to escape a life of poverty. If 49% of students do not move on to middle school, how do we keep them engaged? Impactful programs do not have to be expensive to change lives, but they do have to inspire. We believe that learning changes lives, and all children and youth in the Dominican Republic should have equal access to education. 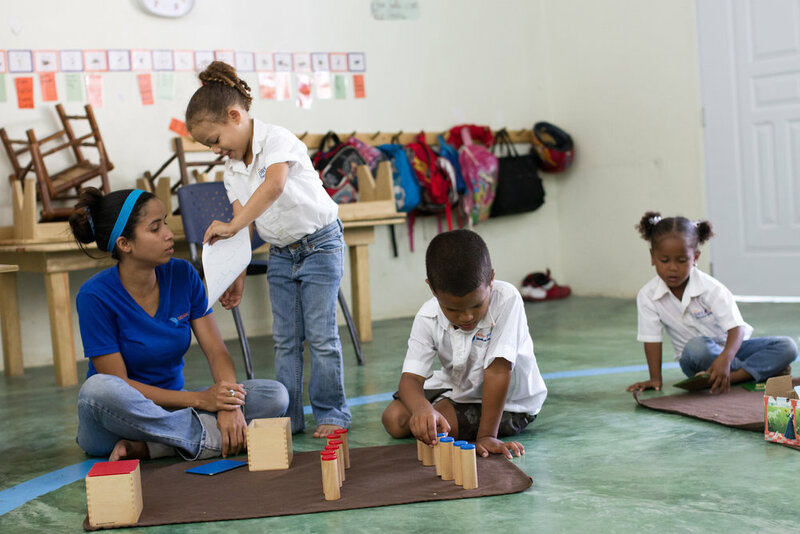 The DREAM Project provides more than 800,000 hours of quality education to more than 9,000 children through 14 different programs across 27 communities in the Dominican Republic. In addition, DREAM programs indirectly benefit thousands more each year by reaching our students' family members, social networks and their extended communities. The school system in the Dominican Republic produces the lowest educational outcomes in Latin America, and more than one-third of children in the country live in families that survive on less than $5 per family member per day. Did you know that over 85% of our brains develop before 5 years of age, but just a fraction of education spending is put into these formative years? We believe that starting early provides the best educational foundation for a lifetime of learning. The most vulnerable years for Dominican youth are earlier than you might think. Early pregnancy, crime, dropping out - these are all issues we have to confront before the teenage years. DREAM's primary education programs generate a love for learning among student, specifically those struggling to learn, motivating them to stay in school and achieve better academic results. Early pregnancy, criminal activity, dropping out, poor decision making...adolescence in the Dominican Republic and the decisions made at this vital stage can impact a young life forever. Life skills, healthy decision-making, job training, and cultural enrichment are proven to help youth grow and succeed.